This series fills the gap for those who are looking for the versatility of a compact pressure washer with the ruggedness and cleaning power of a full-sized skid unit. The Landa PDHW series is packed with features and options that make it highly adaptable for use in a variety of different applications. 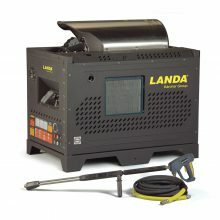 Landa’s PDHW5-35624E/G/SS is a diesel-powered, hot water pressure washer that combines the versatility of a compact size with the ruggedness and cleaning power of a full-skid pressure washer. The PDHW delivers cleaning power of 3,500 PSI with a flow rate of 4.7 GPM. Landa’s PDHW5-35624E/G is a diesel-powered, hot water pressure washer that combines the versatility of a compact size with the ruggedness and cleaning power of a full-skid pressure washer. The PDHW delivers cleaning power of 3,500 PSI with a flow rate of 4.7 GPM. 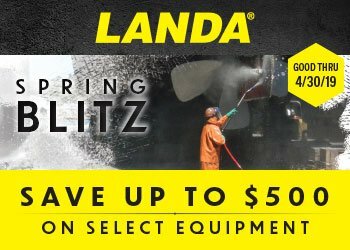 Landa’s PDHW5-35624E/SS is a diesel-powered, hot water pressure washer that combines the versatility of a compact size with the ruggedness and cleaning power of a full-skid pressure washer. The PDHW delivers cleaning power of 3,500 PSI with a flow rate of 4.7 GPM. 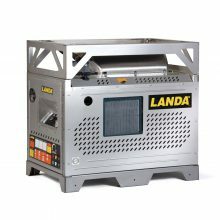 LANDA’s PDHW5-35624E is a diesel-powered, hot water pressure washer that combines the versatility of a compact size with the ruggedness and cleaning power of a full-skid pressure washer. The PDHW delivers cleaning power of 3,500 PSI with a flow rate of 4.7 GPM.